The Customer Comes First! There are many new options for managing and improving customer-organization interactions. For most organizations, success begins and ends with their customers. Knowing customers, how they prefer to communicate with the organization, what they deem important in terms of service and product choice, and when and why they’re dissatisfied — all of this information helps improve overall customer satisfaction. 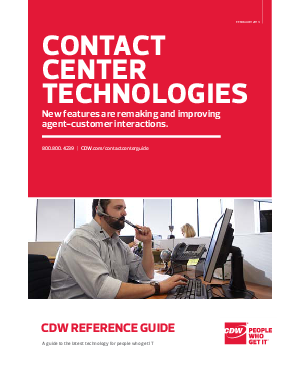 No matter the size or industry, organizations with updated contact center tools are well-positioned to build good customer relationships.